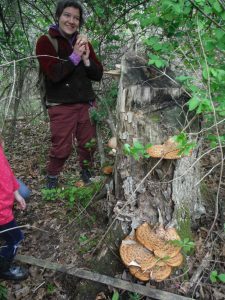 En joy roaming the land, finding lots of edible and medicinal plants & mushrooms that are growing in this springtime! Learn about some of the uses, taste test them, and dig up and take some plants home if you wish, where there is abundance. Bring some plastic bags/containers/shovel if you would like to do that, or we have some here. 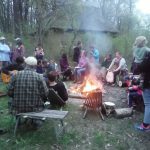 You are also invited to join the MAY FULL MOON POTLUCK & Bonfire following this class. 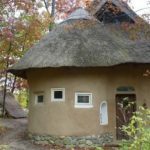 This free community and family-friendly event starts at 6P with a Tour of the enchanting Natural Buildings on site, with thatched roofs, living roofs, plus earth oven and rocket stove. At 7P there is a Potluck (always awesome !) followed by a Bonfire. Enjoy hanging out in the main house, the Strawbale Studio, or go for a walk and check out the moon. Bring your musical instruments if you’d like ! 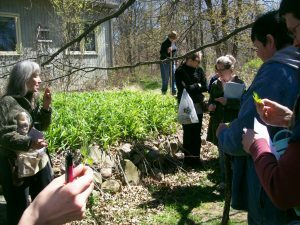 Instructors Deanne Bednar, who has a connection with these plants for 16 years, and Kelly Thiede who has a Michigan Mushroom Harvesting Certificate ! We have done this class together several times. Very fun. Saturday, May 18, 2019 from 1:00 – 5:00 pm.